My wife and I really enjoyed the Daredevil show on Netflix. For those who don’t know the character, Daredevil is a superhero who is blind but has super-senses. His hearing, sense of touch, smell and so on are so powerful that he has an advantage over people who can see. Of course, there are some things he can’t do, because despite his super-senses he still can’t see. Nathan, this is a blog about a vivas and PhDs and stuff! The character of Daredevil got me thinking about the viva. If you’re on your way to the viva you have a similar situation: you’re blind to what’s coming your way. You don’t know how long it will be, you don’t know what questions are coming, you don’t know what opinions your examiners have formed. There’s a lot you don’t and can’t know. But like Daredevil you have an advantage: you have the experience of doing your PhD. You have 3+ years of work and thinking about your research, not just the thesis. You can’t see the question coming, but when it comes you know how to tackle it. Why? Because you have superpowers. Throughout my PhD I thought that I was particularly attracted to what I did because I loved the challenge of maths. Maths can feel like there is a secret language at work. If you know it, or know enough, then you can feel powerful. It’s hard to get to know enough, and then to build up enough intuition about how to apply this magic to solve problems. After my PhD I realised that I loved having interesting challenges to work on, and for a long time maths had been filling that space for me. So I started looking for interesting projects. This blog is an interesting challenge to work on. I have to write a lot (and edit a lot). I have to do a lot of planning and scheduling. Interesting challenges are worth it. They stretch you. They develop you. They’re worth finding or making. At the end of your PhD, spend some time thinking about the interesting challenges you had. What did you learn from them? How did you encounter them? What happened as a result? Your examiners will not necessarily launch into asking you about the interesting challenges of your PhD, but if you spend time reviewing them you’ll find rich ideas to reflect on. The day comes, you click print, and you’ve finished your PhD! Except for the viva. You have your viva, it goes well, and you’ve finished your PhD! Except for corrections. You take the time, do the work, finish your corrections and now you’ve finished your PhD! But you have to wait until graduation. Finally the day comes, you cross the stage, shake a hand and NOW you’ve finished your PhD! You’re done! Which is better, treating the viva as a Special, One Of A Kind, Big, Important, This-Is-It Event Day – or going to university like it’s a regular day? Is it better go in thinking that it’s make or break, or acting as if the outcome is certain? Hard questions to answer. Better questions to answer: What is the story that you tell yourself about the viva? Is it a helpful narrative? Would it be better to change the story? Episode 50! In some ways it has come around really quickly, and in others it feels like it has been a long time coming. This is a very different sort-of episode: just me talking for a little while. 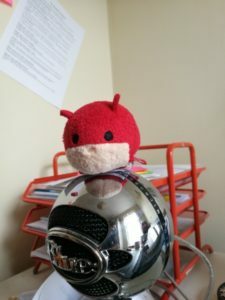 The Viva Survivors Podcast has been around for nearly three and a half years, and it feels like a good time to say a lot of thank yous, as well as reflect on where the podcast has come from, the opportunities that have come my way and talk about my plans for the future. The Viva Book Bundle – both books! The code is valid until the end of November 2015: share it on to anyone who you think would be interested. This is just one little way I can say thank you for all of the shares, RTs, emails, messages and other things that so many people have done for me and for the podcast over the last few years. If you want to get in touch please email me, or find me on Twitter as @DrRyder or @VivaSurvivors. I love hearing from people who want to come on the podcast to share their PhD and viva experiences.